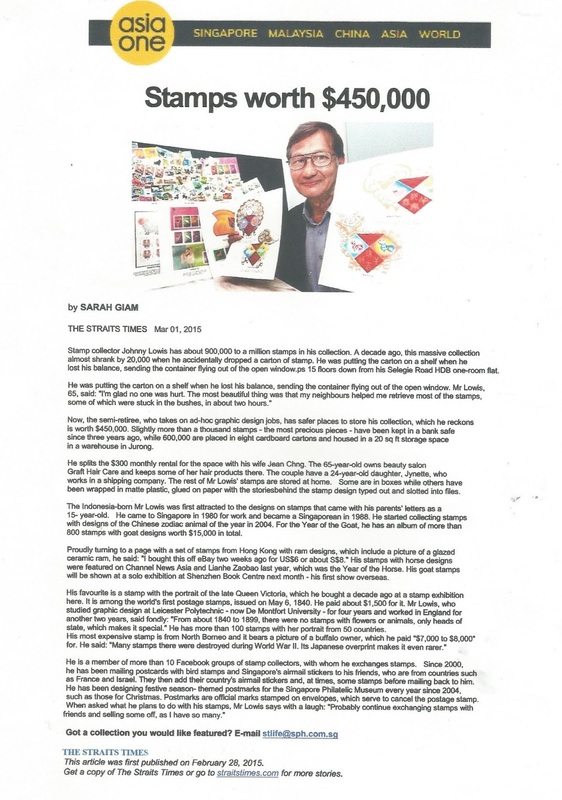 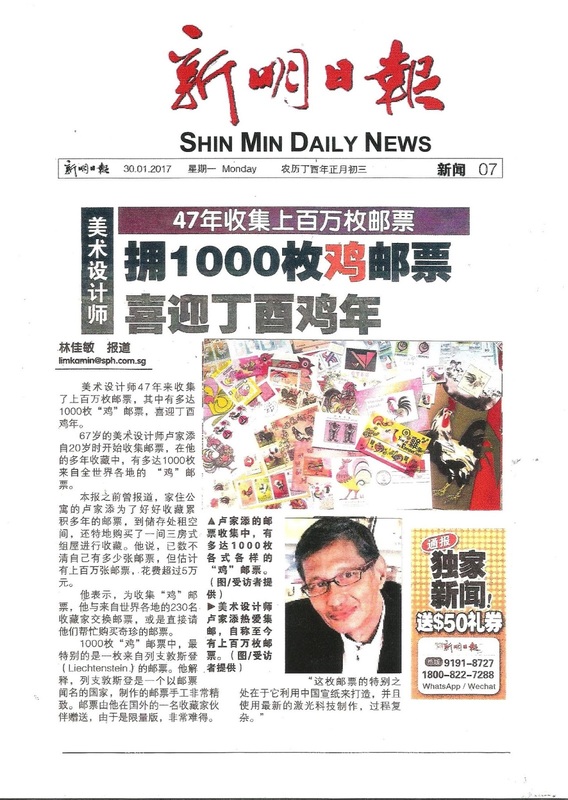 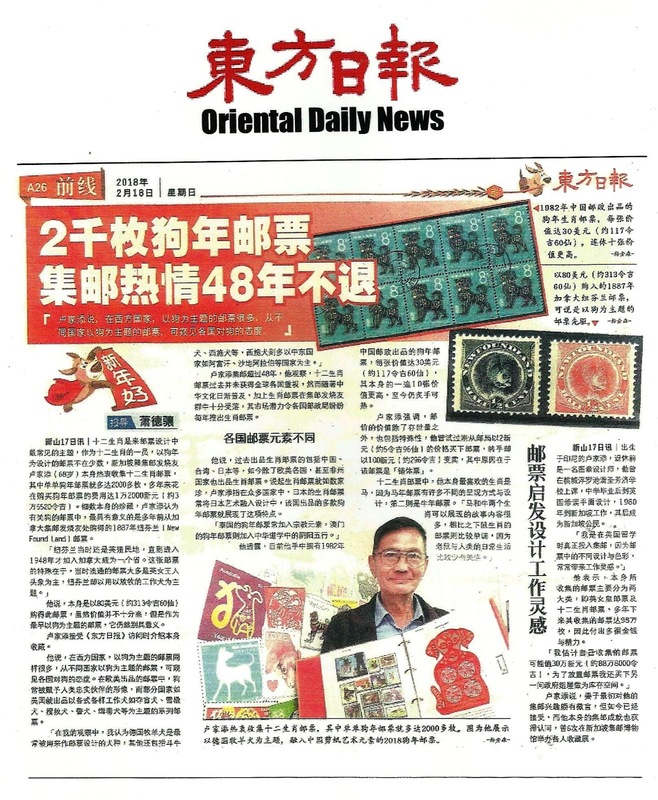 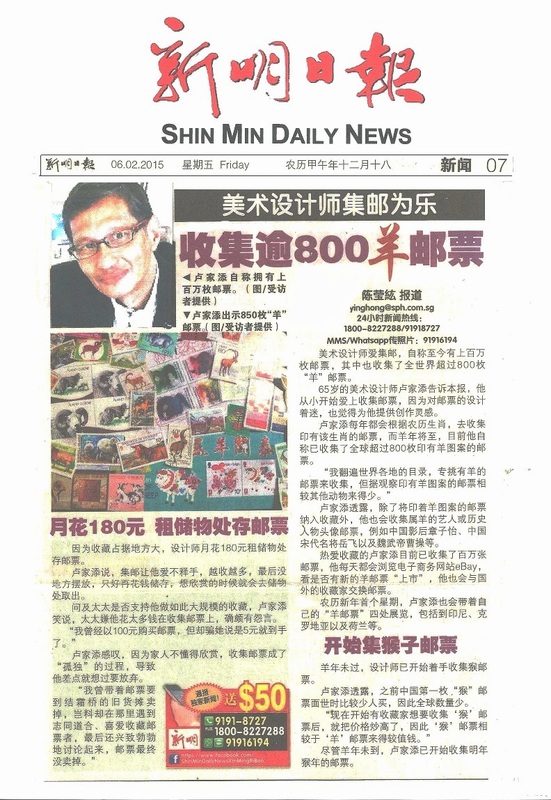 on Singapore English newspaper on Monday, 4 February 2019.
the "Oriental Daily News 東方日報"
"Shin Min Daily News 新明日报 "
newspaper "China Press 中國報 "
"Guang Ming Daily 光明日報 "
"Tabla Weekly" on 5 February 2016. "The New Paper" on 20 February 2015. 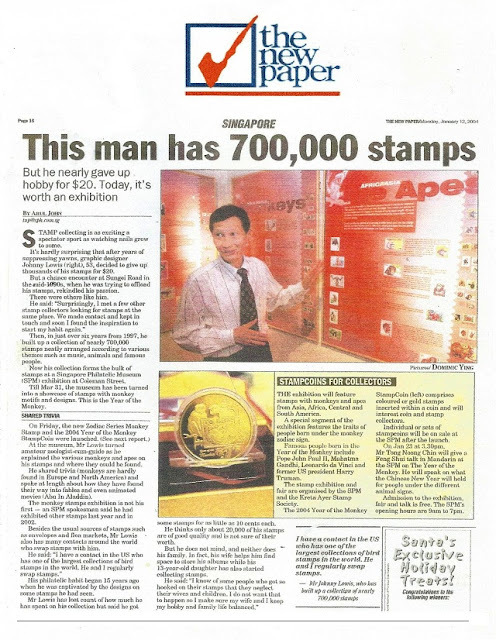 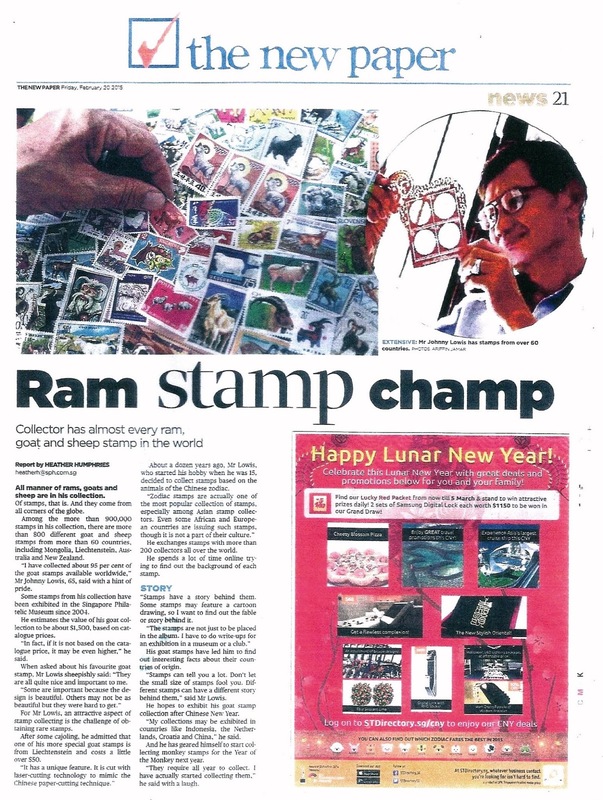 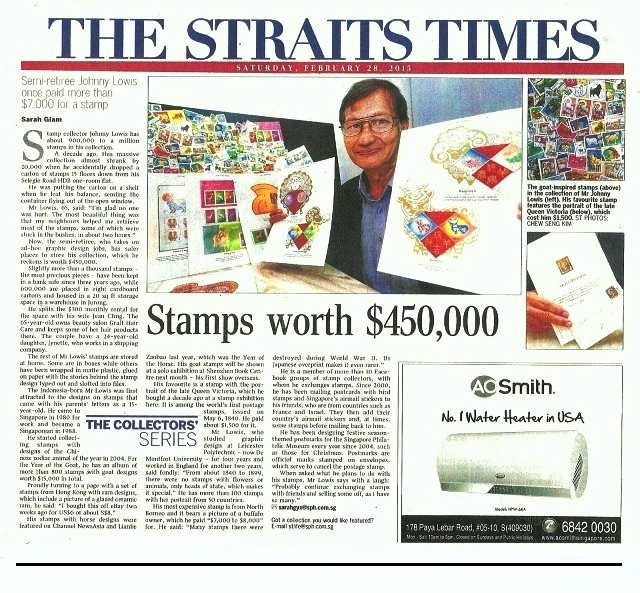 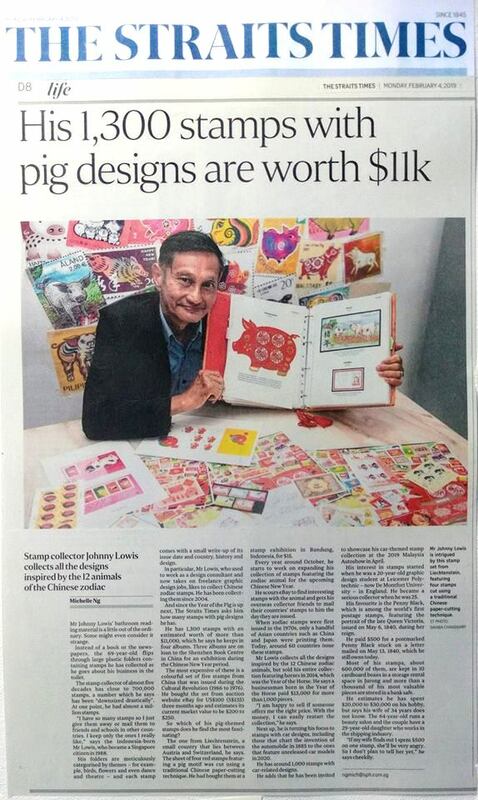 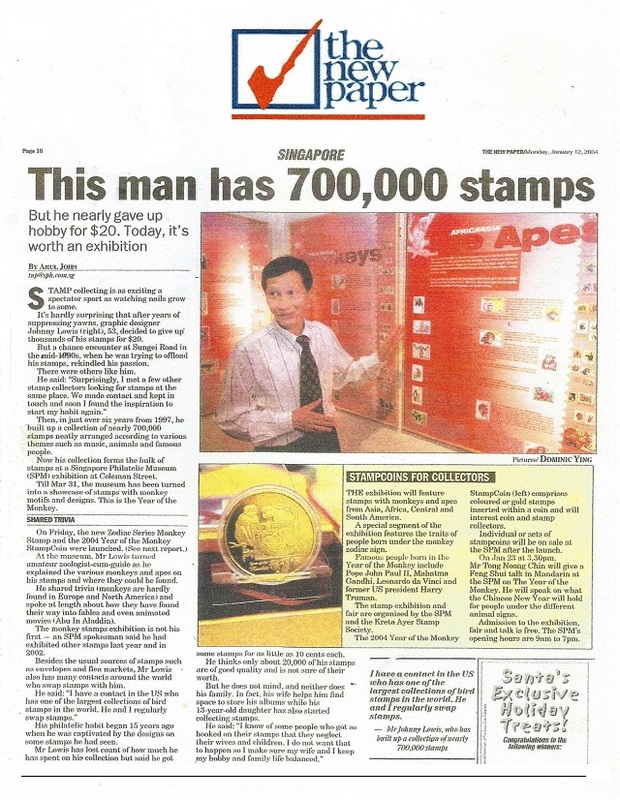 "The Straits Times" on 28 February 2015. 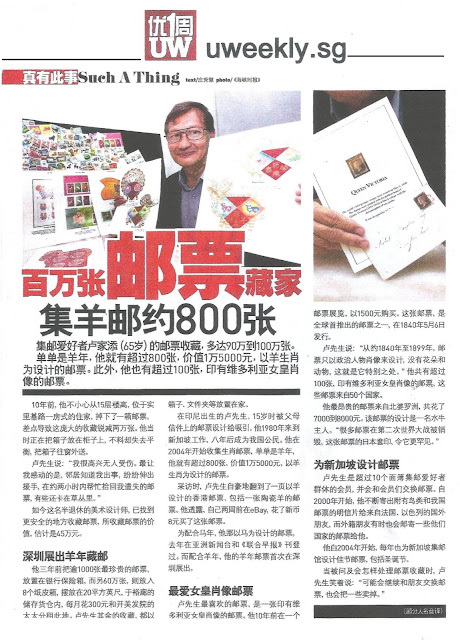 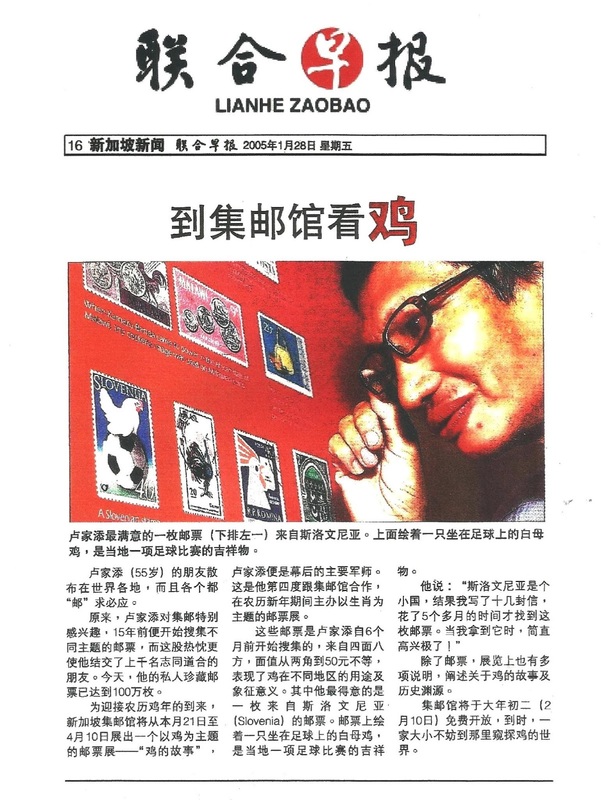 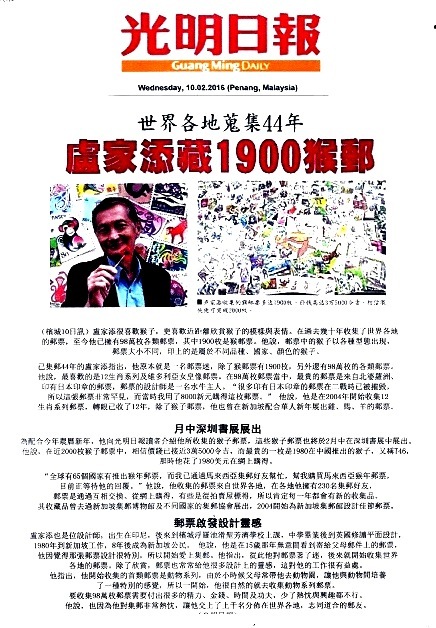 "Lianhe Wanbao 联合晚报 " on 9 February 2014. 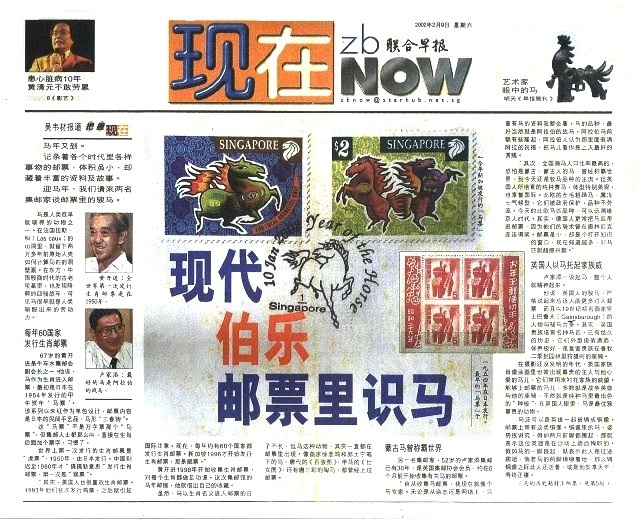 An article on "MONKEY ZODIAC EXHIBITION"
"The New Paper" on 12 January 2004. 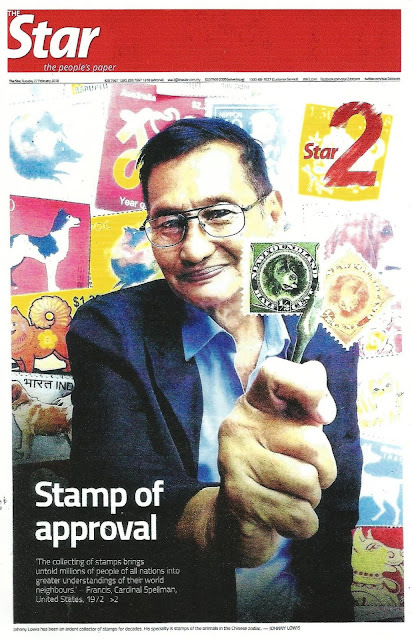 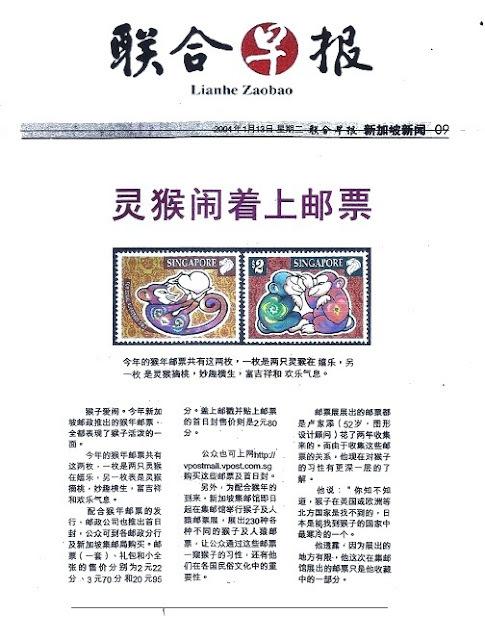 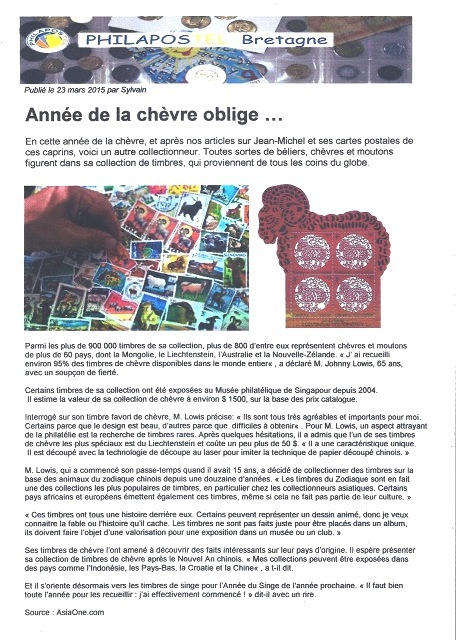 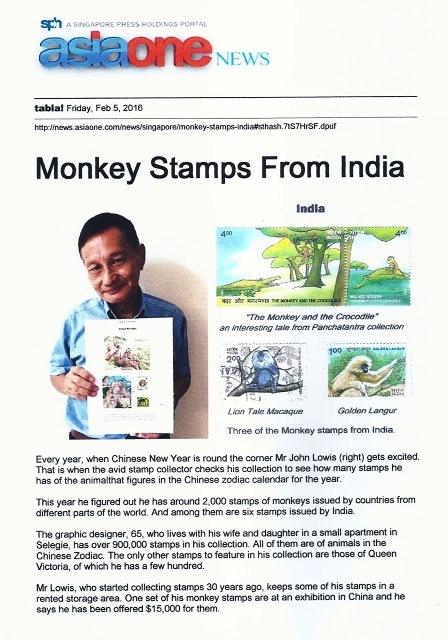 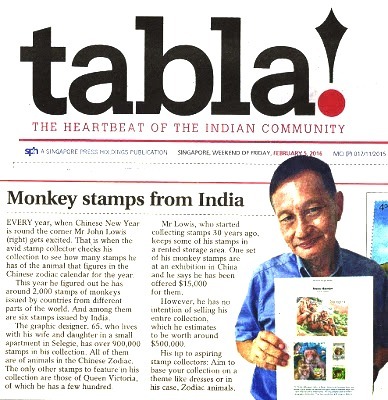 An article on "MONKEY ZODIAC STAMPS"
An article on "COCKEREL ZODIAC STAMPS"
An article on "HORSES ZODIAC STAMPS"